Any time I was afraid of something or felt my body giving in to illness, I remember my mom saying, â€œmind of matterâ€. Unfortunately, that statement isnâ€™t very true when it comes to getting sick. I mean, Iâ€™ve successfully held off vomiting a few times, but always succumbed to it not matter how hard I thought I wouldnâ€™t let myself get sick. As far as conquering fears though, I think this is definitely true. It all comes back to the mind being incredibly powerful. Iâ€™m afraid of a few things: spiders, the dark, and heights are probably the worst. I havenâ€™t encountered many spiders since moving to the Bay Area and when I do, I have my boyfriend deal with it. The funny thing about being afraid of the dark is… I canâ€™t sleep with lights on. CONUNDRUM! If Iâ€™m in bed, Iâ€™m ok. I have a boyfriend, a dog, and a cat around me that will keep me safe from the Boogie Man, but if Iâ€™m aloneâ€¦ I keep a trail of lights on behind me, shades open for moonlights, and I make sure the closet door is closed. I know Iâ€™m not the only one that needs to have closets closed. Donâ€™t act like you donâ€™t. Thereâ€™s the mind being funny again. One part of it knows there is nothing in there but a mess of clothes and one part is telling you if you leave it open demons will get you while you sleep. Unfortunately, Iâ€™ve sided with the part that is concerned about demons. Although I havenâ€™t quite mastered the concept of mind over matter in regards to spiders and closet demons, I have used it to conquer my fear of heights. I am in no way close to skydiving or base jumping, but I am much more comfortable with climbing. I love obstacle course races and they love having you climb walls, ropes, nets and steep hills. I always felt like such a hack when I would skip obstacle after obstacle because I was too afraid to climb it. At some point, I told my mind to get it together. Everyone else around me had no problem getting over the cargo net and Iâ€™m tired of being the one thatâ€™s shaking like a leaf. 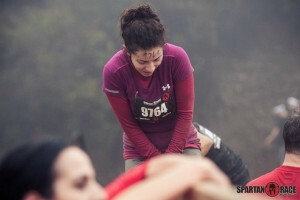 Little by little, race by race, I was able to skip less obstacles and get over walls and nets faster and faster. There are still a few height obstacles that get me weak in the knees, but the more I tell myself that I CAN do this, the more my mind lets me. Itâ€™s an absolutely incredible feeling when you can conquer a fear without even acknowledging it any more. My mind has stopped fueling my doubts about heights, now I just need it to stop fueling my irrational fear of closet demons. Baby steps.